Bring new life to your old photos! 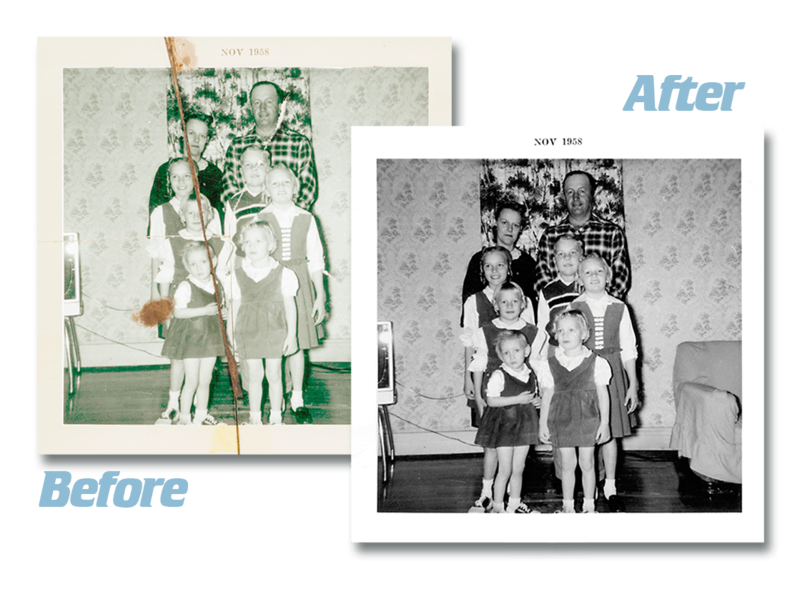 We offer expert photo retouching and restoration services to preserve your memories for future generations. From digitally removing tears and scratches to color-correcting faded images, we’re here to help! We can print your retouched or restored images on our high quality Professional Kodak papers or share a digital file with you. If you need additional copies – or would like to professionally mat and frame your image – we’d be happy to assist you with that as well! Since all retouching projects are unique, bring your photo with you on your next visit. We’ll assess the scope of the restoration and provide a price and turn-around estimate – most images are ready within a week!